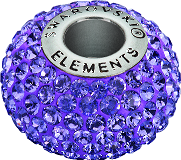 If you're making your own jewelry or embellishing some of your favorite belongings, you'll definitely want to consider working with pave beads. 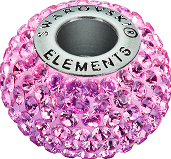 Swarovski pave crystal beads are simple to work with and they create some of the most remarkable and beautiful pieces of jewelry. Because pave beads are affordable, they help jewelers create pieces of full-stone jewelry. 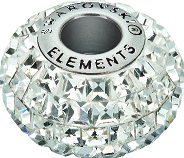 The vast selection of Swarovski chatons are offered wholesale, making it possible for you to create any piece of jewelry you want with a full set of crystals and stones. 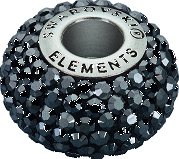 Pave beads are created by drilling holes in the base metal, which achieves a uniform cut, giving the stones a dazzling beauty no matter which angle you look at them from. 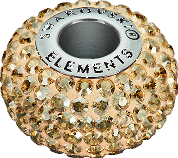 The holes drilled in the base metal are kept as close together as possible to ensure the gems reflect unity and glamour. 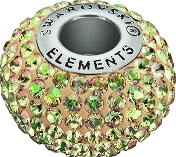 And best of all, pave beads can be made using different kinds of gemstones, which allows you to completely customize your pieces and embellishments with stones you like the best. 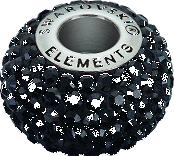 All of your jewelry pieces made with pave beads will need to be regularly cleaned due to oxidization. 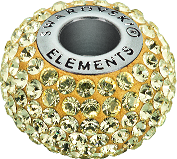 During the oxidation process, your jewelry can take on a dull and lifeless appearance. 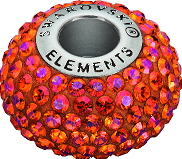 But with just a bit of cleaning, your jewelry pieces will be back to their normal glisten. To clean pieces made with pave beads, you'll need a fine gentle brush as well as a light cleaning solution such as water and soap. 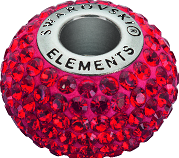 If you prefer, you can invest in a jewelry cleaning solution made specifically for pave beads. 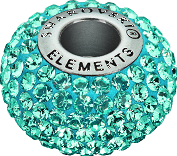 You'll want to let the jewelry soak for a few minutes in the water before lightly scrubbing it with the brush. 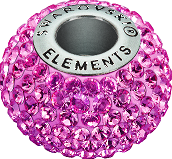 One of the best aspects of working with pave beads is that they are extremely fashionable and durable, meaning they work well on almost any piece of jewelry. 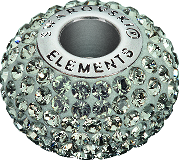 When added to pieces that are already made, pave beads can enhance the beauty and glisten that suits the preferences of those wearing them. 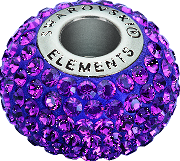 Although the crystal Pave Beads are beautiful all by themselves, they also look great when combined with various other beads and stones. 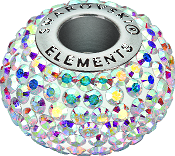 Rainbows of Light offers a vast selection of Swarovski chatons to choose from wholesale. 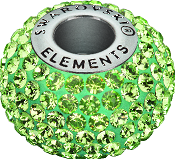 Some of the most popular pave beads include ones in the Peridot and Crystal AB colors. Whether you’re hoping to add an abundance of sparkling details, or just a small touch of shine to your jewelry line, the clustered pave design is an extremely popular look to elevate your accessories with a sophisticated allure like no other.